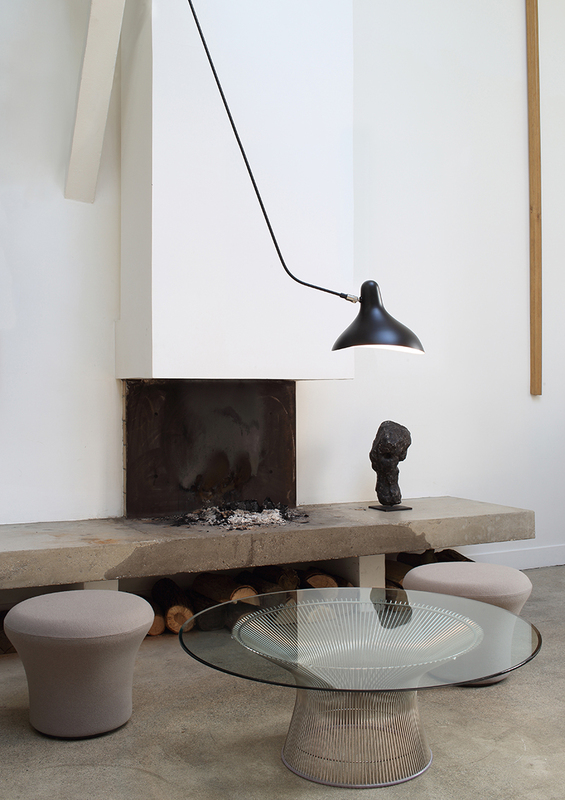 The beautiful Mantis lamp by Bernard Schottlander for French brand DCW Editions is definitely on my secret wishlist. I also love the planner coffee table with this exposed fireplace, and low stools. I've included some items for creating a similar look below.